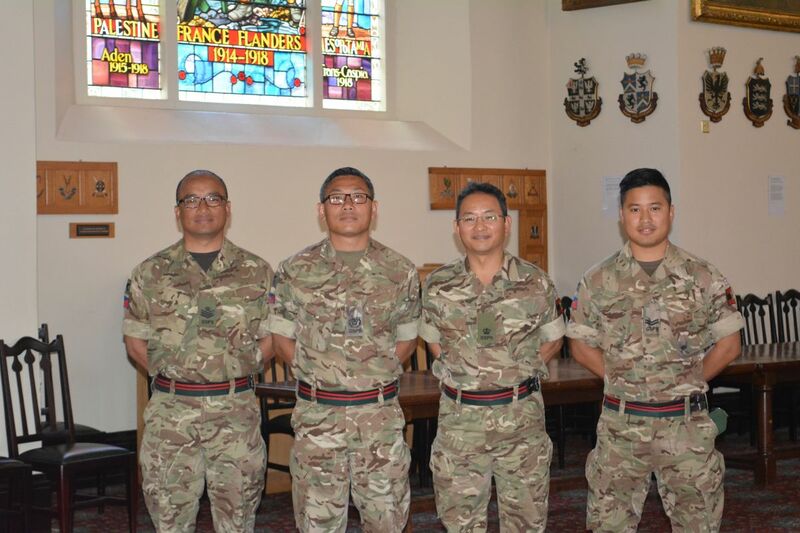 Staff from the Headquarters Brigade of Gurkhas conducted a short educational tour of the Old College at the Royal Military Academy Sandhurst (RMAS) on 6th September 2017. It was worth sparing an hour and half from our hectic schedule for such an informative tour. It was just fascinating to hear the Curator talk so passionately about the history of these dedicated rooms and we could feel the pictures come alive. We were amazed to hear that few of the traditions the British Army which have since been adopted date back to the Battle of Waterloo, the history around the Indian Army Memorial room, it’s invaluable artefacts and a unique Chandelier presented by P&O ferries to mark 100th year anniversary of the Indian Army Memorial. 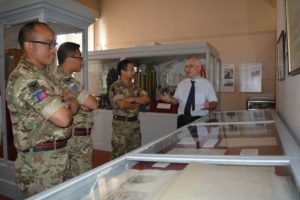 It was astonishing to hear the story of General John Le Marchant, the founding father of this exceptional Officer training establishment with his intelligence, attention to detail in designing an effective sword and his ability to formulate a pattern for Sword battle drill. It is sad that he died in the battle of Salamanca on 22nd July 1812 during the Peninsular War, before he could set his foot in the grounds and buildings of the newly built RMAS. One of the chambers called the International room showcased items presented by the Heads of Nations. I am sure our ladies would be impressed with the amount of gold and diamonds it has on display. I would recommend to anyone a visit to these rooms which has such a enriched history.